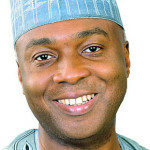 ABUJA, NIGERIA (AFRICAN EXAMINER) – The President of the Senate Bukola Saraki has filed additional grounds of appeal before the Supreme Court to challenge the ruling of Appeal court which ordered the retrial of alleged false assets declaration allegation against him at the Code of Conduct Tribunal CCT. Senator Saraki on January 11, 2018 filed seven grounds of appeal. Four of the grounds were contained in the one initially filed. 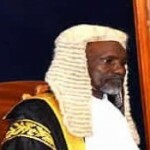 The NASS Chairman signed the notice as the appellant while Chief Kanu Agabi (SAN) is the lead counsel. The notice indicates that five other SAN’s including: Paul Usoro, A.O Adelodun, Saka Isau, Paul Erokoro, Mahmud Magaji and five other lawyers including: John Ochogwu, Peter Erivwode, Edidiong Usungurua, Barth Ogar and Akinola Afolarin were included as members of Saraki’s legal team. 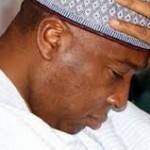 It would be recalled that the CCT on June 14, 2017 ruled in favour of Senator Saraki’s on no-case submission application, thus dismissed the 18 counts in the suit and acquitted him. However, the Federal Government FG, subsequently through its prosecuting counsel, Mr. Rotimi Jacobs SAN), appealed against the ruling. Among the grounds of appeal according to Senator that the Justices of the Court of Appeal erred in law “which error occasioned a miscarriage of justice”, specifying that when they held the prosecution “proffered credible and admissible evidence to establish the ingredients of the offences” in counts 4, 5 and 6. 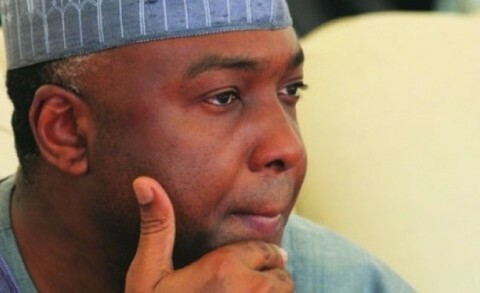 Since the inception of the trial in 2015, Saraki has been asked by many to step aside of his post, but declined. He also boasted last year that he would defeat the FG at the Appeal Court, as he alleged that the trial was politically instigated.